We have chocolate dipped strawberries at our home all of the time – why? Because they are so simple and easy to make!! I was surprised when several of my friends said they did not realize how easy they were to make. So I figured if some of my friends in real life didn’t know how easy they were then I am positive some of my cyber friends needed to find out as well. 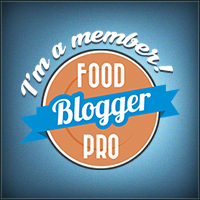 Hence this super simple, yet super yummy blog post. All you really need are two ingredients. 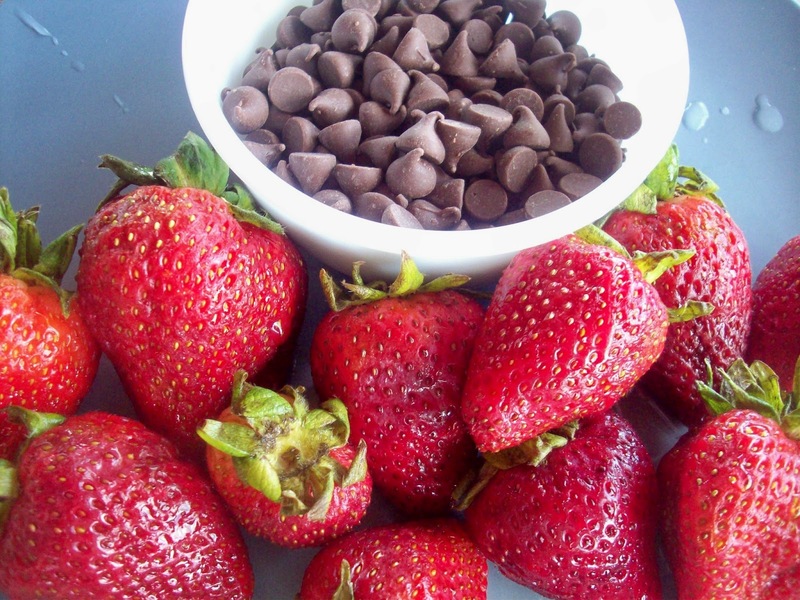 Strawberries and chocolate. I always have leftover chocolate chips from baking and I don’t let the kids gobble them all up. 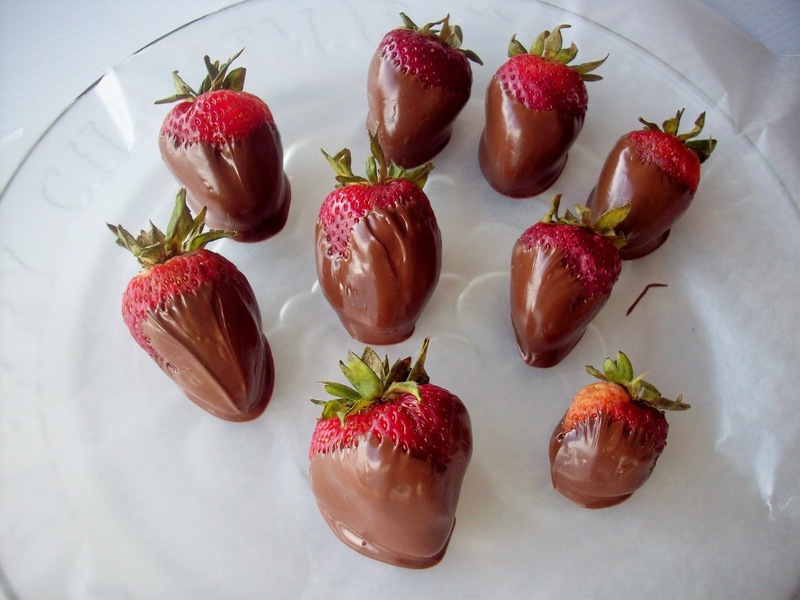 Then when I have a spare 5 minutes I make up some chocolate dipped strawberries. First wash your strawberries really good. Then you need to dry them really good. I just use paper towels to dry my strawberries. 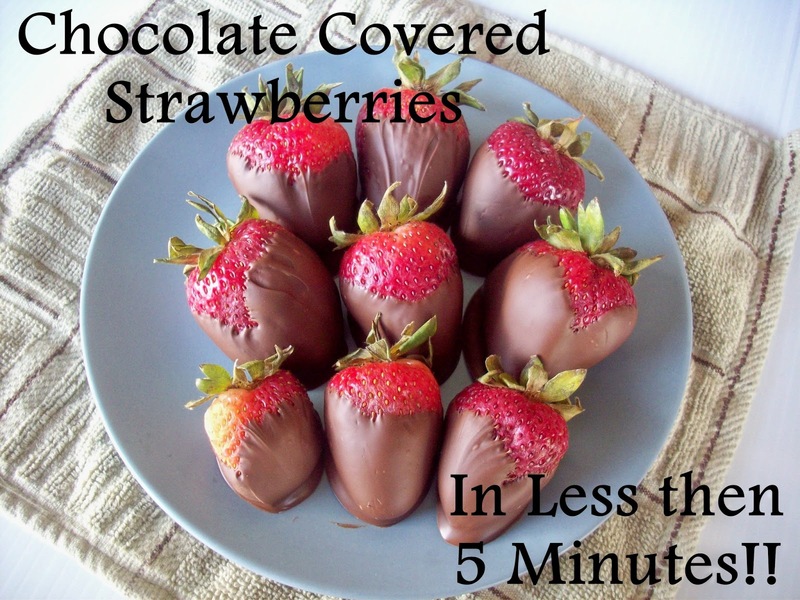 Water can seize up the chocolate so you really need to dry off the strawberries well. Next put your chocolate chips in a microwave safe bowl. Microwave for 30 seconds and stir. Repeat until melted. For me this only took 1 minute total. Put some wax paper or parchment paper on a plate and then dip your strawberries into the melted chocolate. Just swirl it around until 3/4 of the berry is covered in chocolate and then place on your plate. Now you just have to wait for the chocolate to harden. 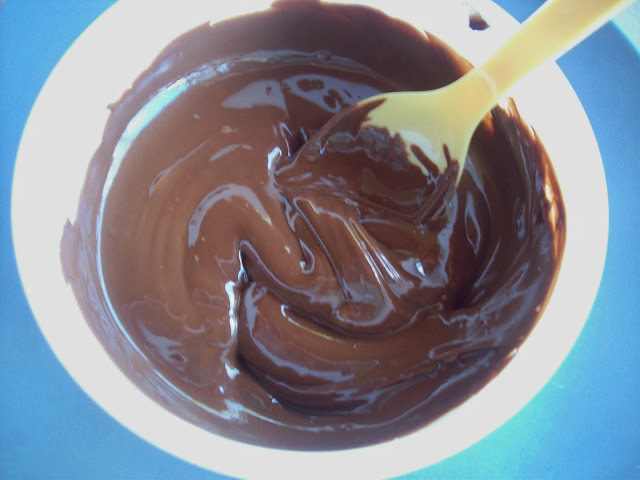 However I have been known to eat a chocolate covered strawberry while the chocolate was still melted – yum!! You can let it sit on the counter to harden or put in the fridge or freezer to hurry up the process – just depends on how quick you want to eat your strawberries. If you love strawberries then you will probably want to try my White Chocolate Strawberry Trifle – it is so yummy! Do you love chocolate covered strawberries?? « Magnetic Dry Eraser Board from DecoBoards Unlimited – Great Mother’s Day Gift! Yum! These look so delicious and easy. 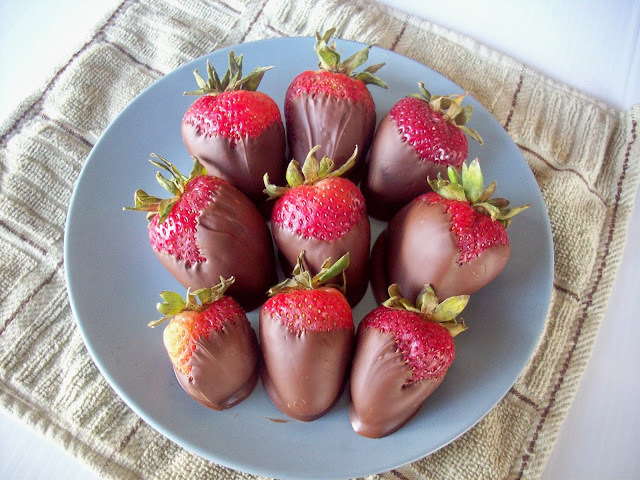 I love chocolate-covered strawberries. So easy and delicious!